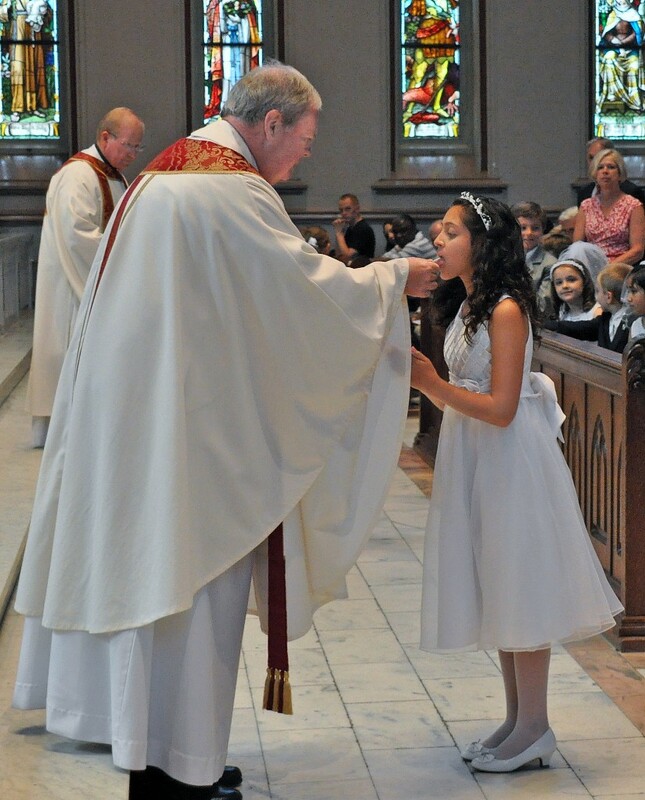 A child who has been baptized, and who has received the Sacrament of Reconciliation, will normally receive First Holy Communion at seven years of age, or in the second grade of Sunday School or Catholic Elementary School. Preparation to receive First Holy Communion takes at least one full year of religious education. If a child is being “home schooled,” the child must be interviewed by the Director of Sunday School (Mrs. Janee Przybyl) in order to insure that the child is indeed ready to receive First Holy Communion. Parents must present a copy of a child’s baptism certificate in order for the child to receive First Holy Communion. The children of the parish receive their First Holy Communion together, at the 10:00 AM Sunday Mass, on Mother’s Day weekend.